One of the most ubiquitous names in Omaha is the Greater Omaha Packing Company. Each week, the company processes and ships between 14,000 and 15,000 head of steer for a yearly profit of over $1,000,000,000. The business employs nearly 1,000 people and ships beef to more than 50 countries around the world. 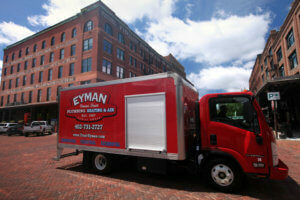 The world relies on Greater Omaha Packing Company, and Greater Omaha Packing relies on Eyman to keep them delivering the very best.